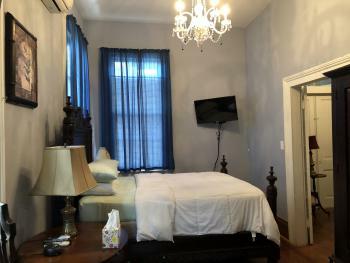 The Azalea is a two room suite with remote controlled air conditioner, flat screen t.v. 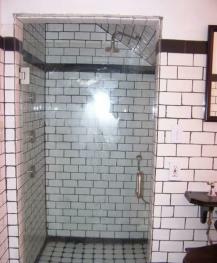 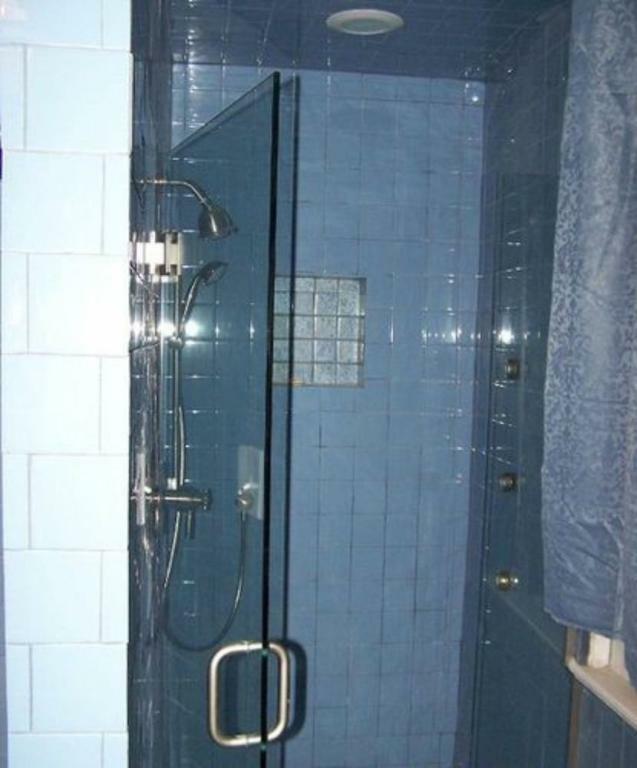 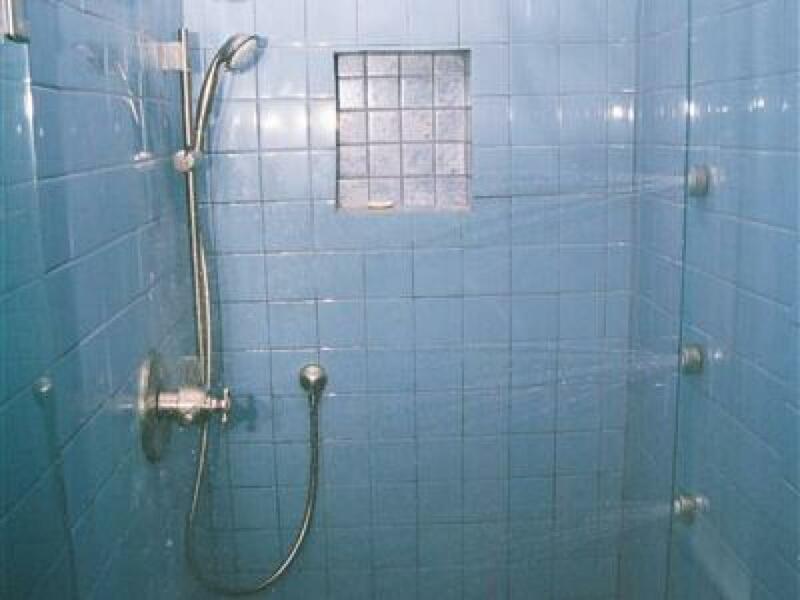 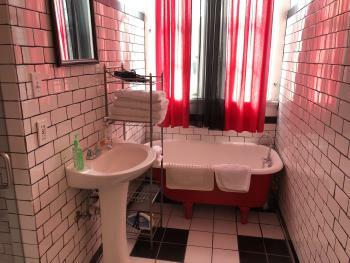 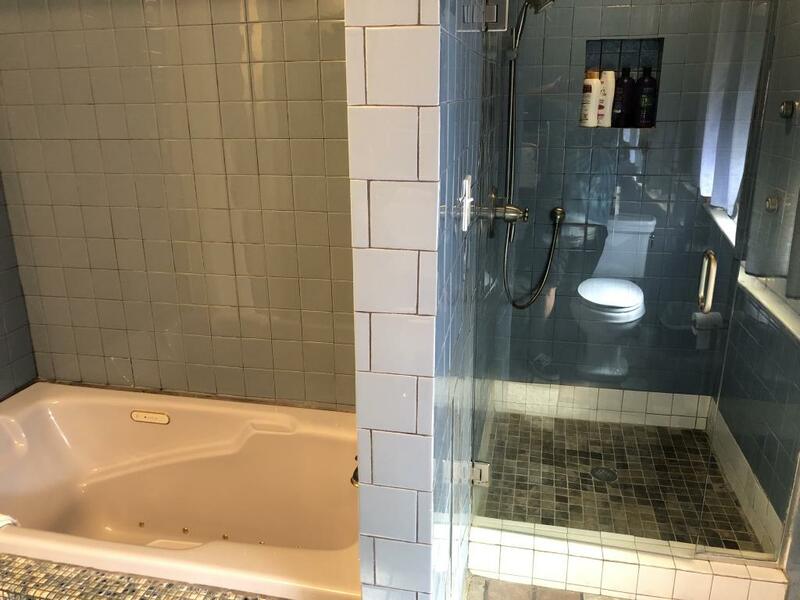 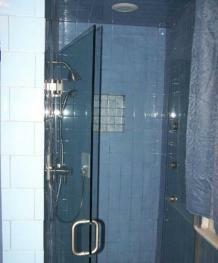 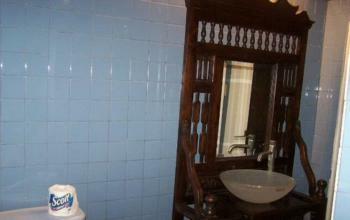 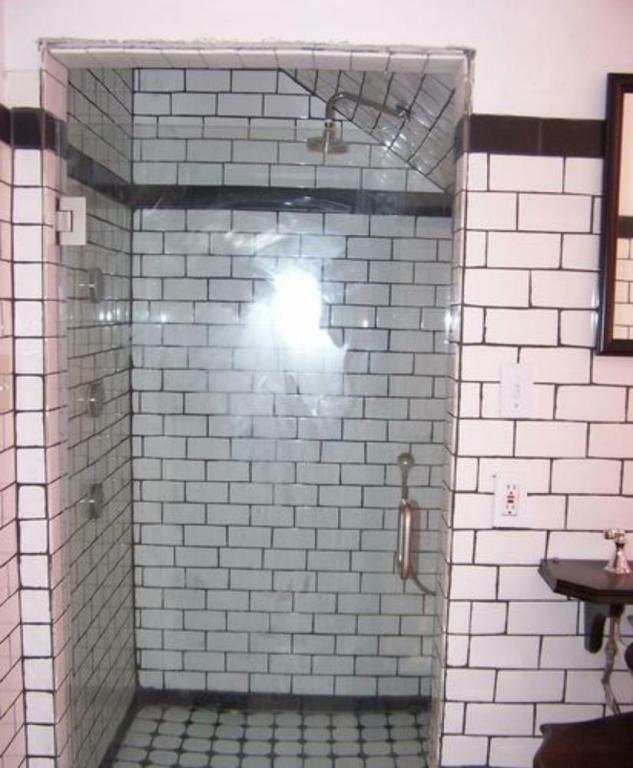 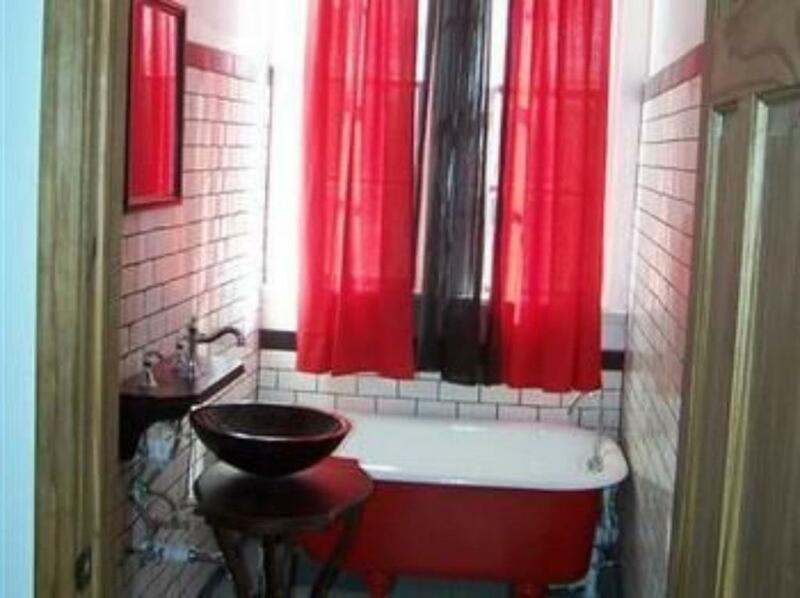 private bath with free wifi walk in spa shower with in wall body jets and . 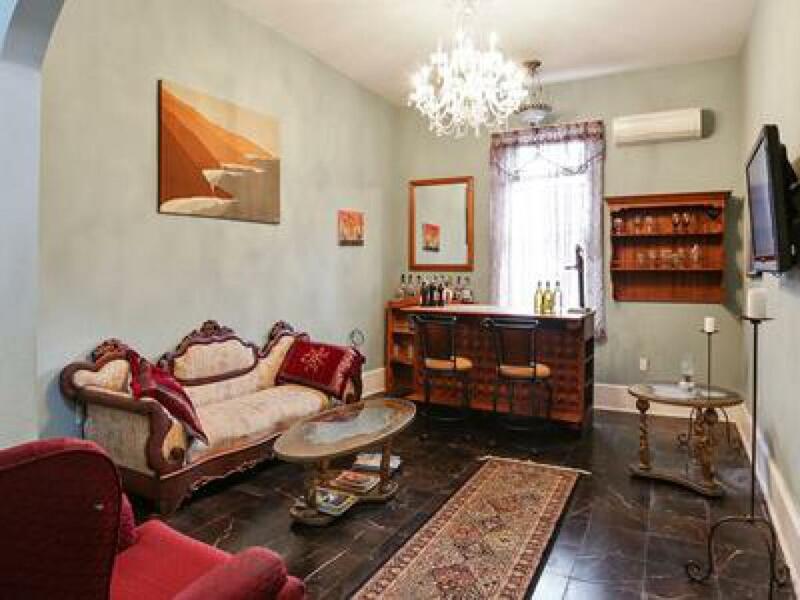 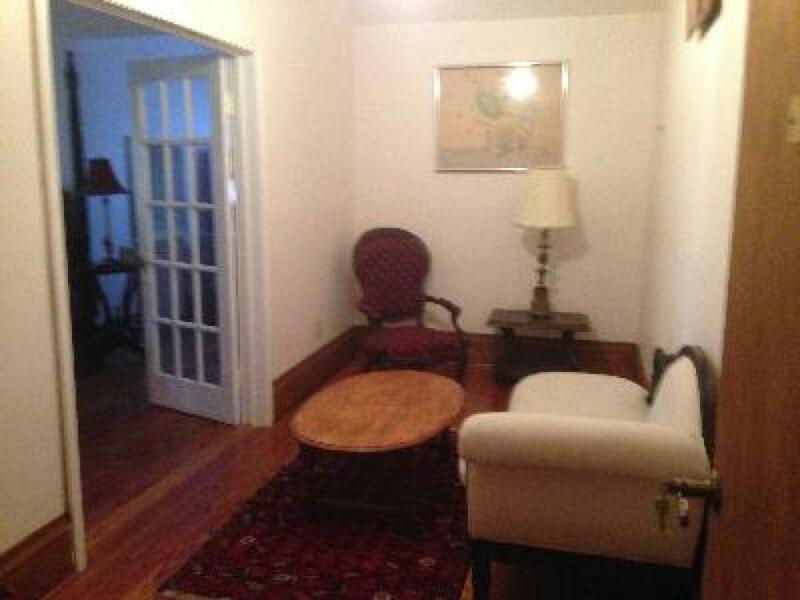 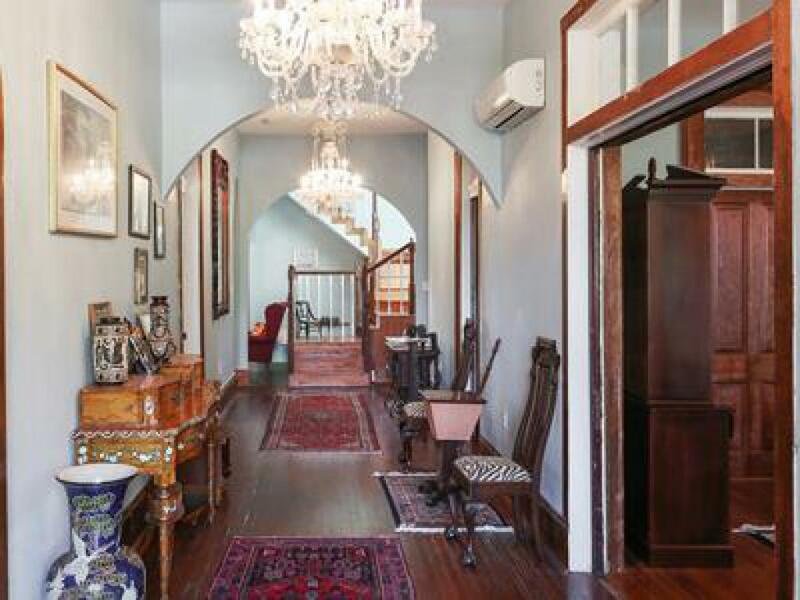 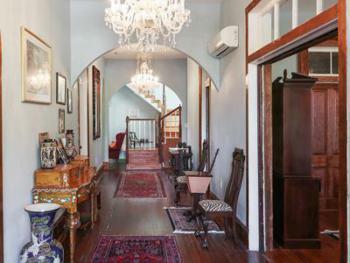 It has a sitting room with a chase, coffee and end table, along with two antique lounge chairs. 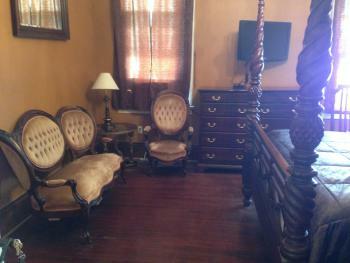 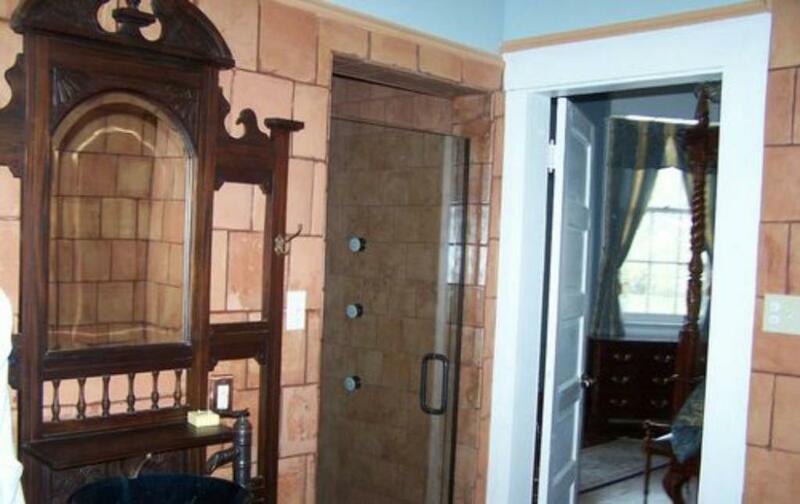 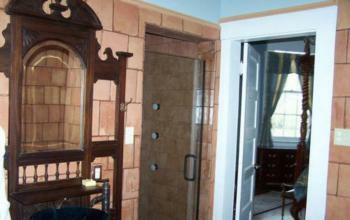 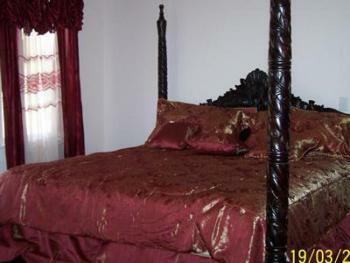 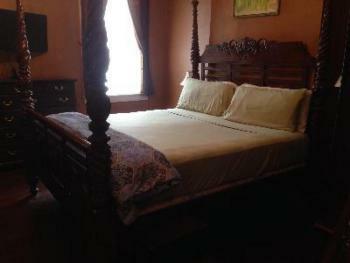 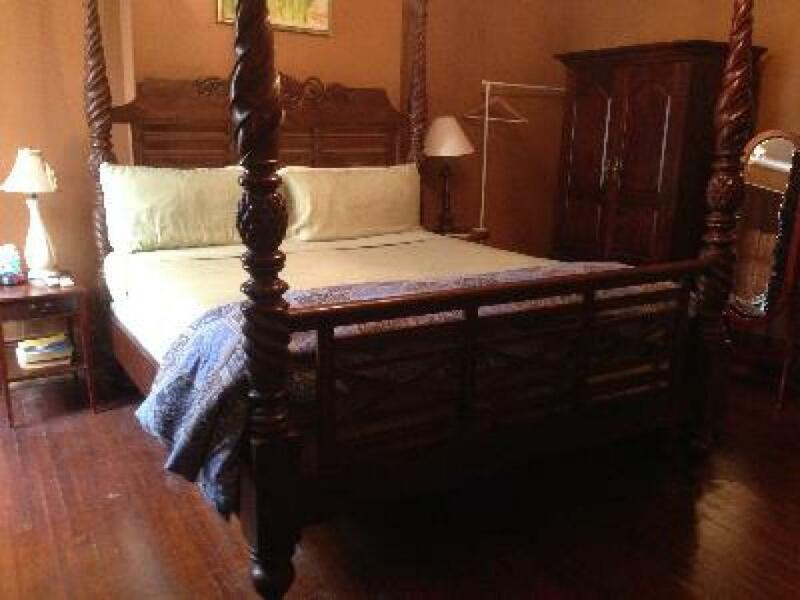 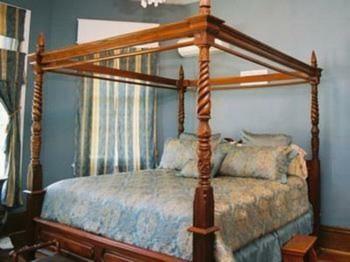 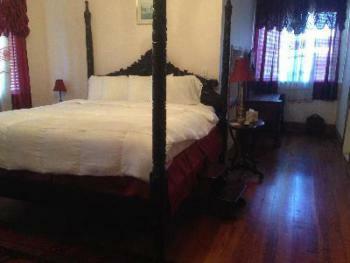 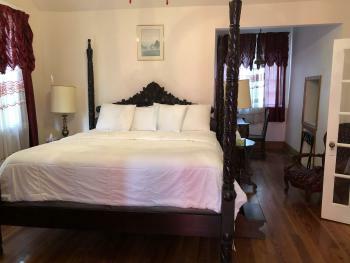 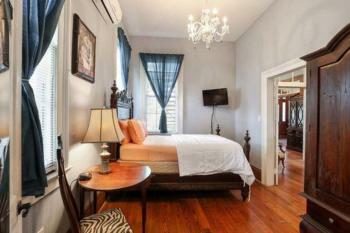 A two room suite with an antique Oueen sized bed, antique desk and armoir. 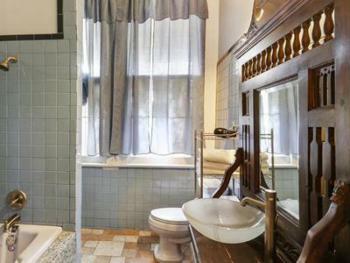 Private bath with antique sit down vanity, matching air jet whirlpool tub and completely modernized Spa shower with body jets. Comfortable sitting room with coffee, end tables, sofa ,antique chair and mantel piece. 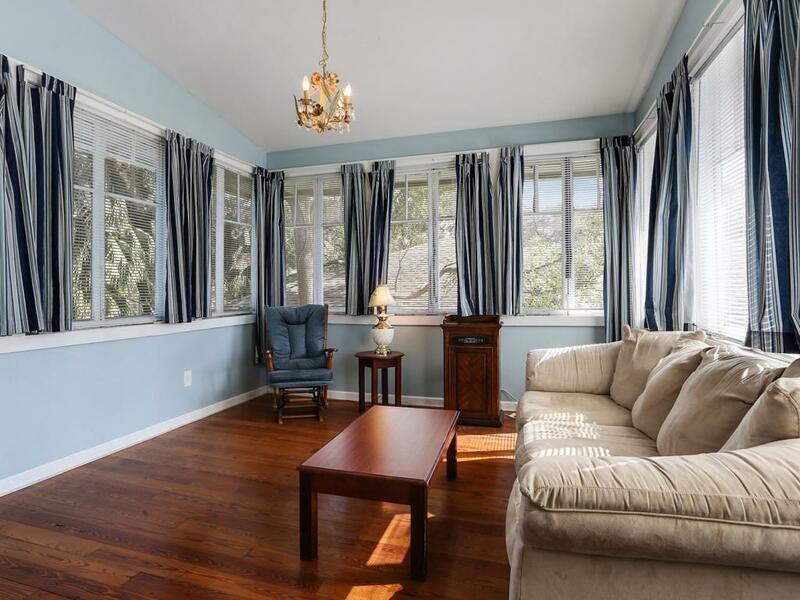 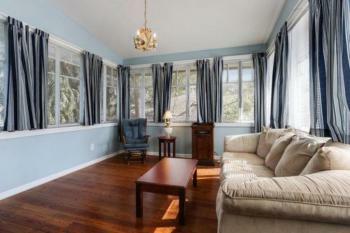 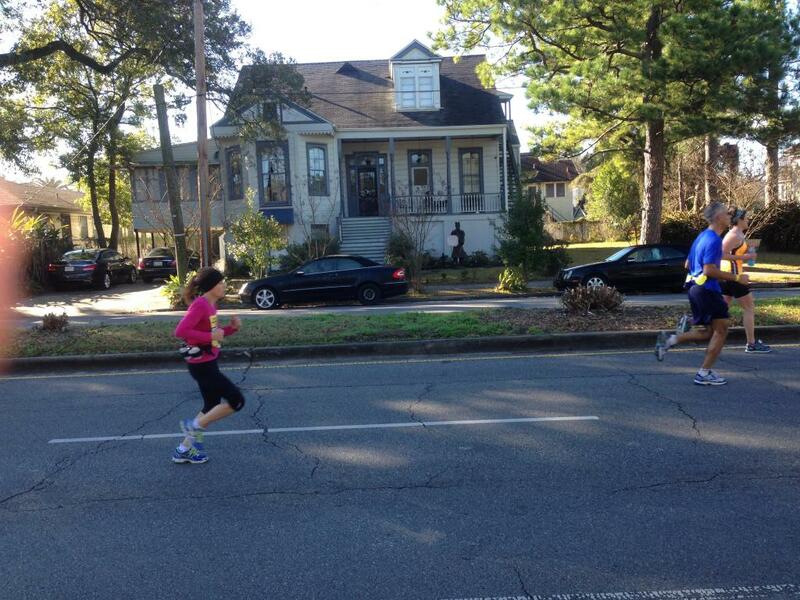 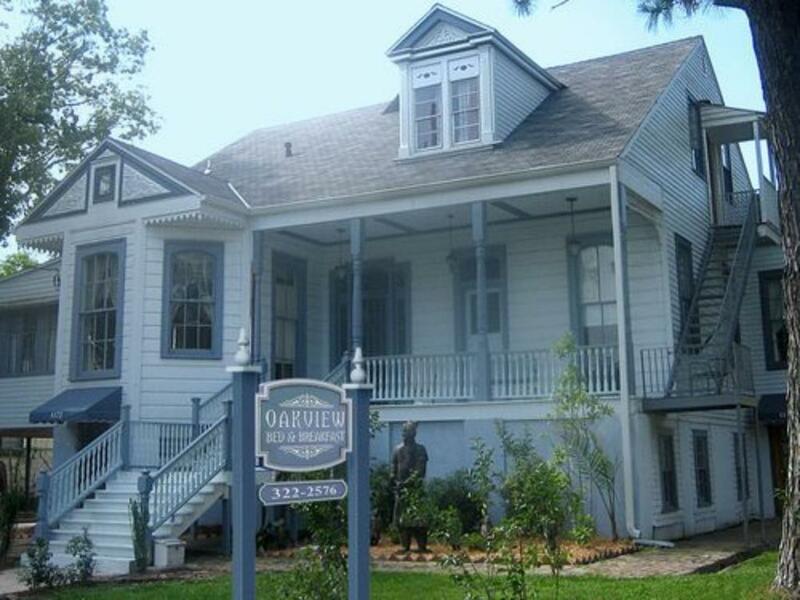 Oakview is conveniently and ideally located in the heart of mid city less than 5 minutes from the French Quarter. 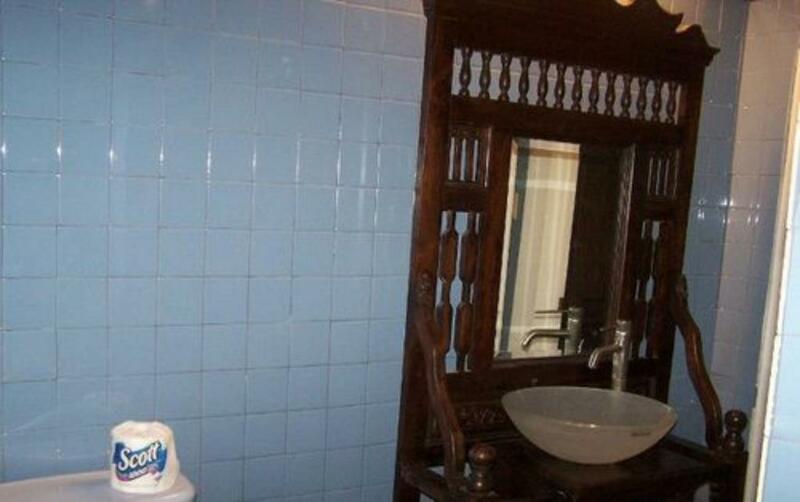 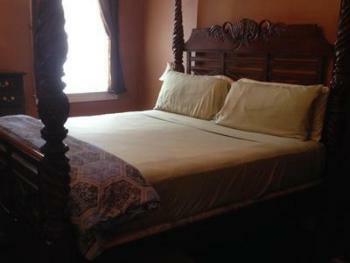 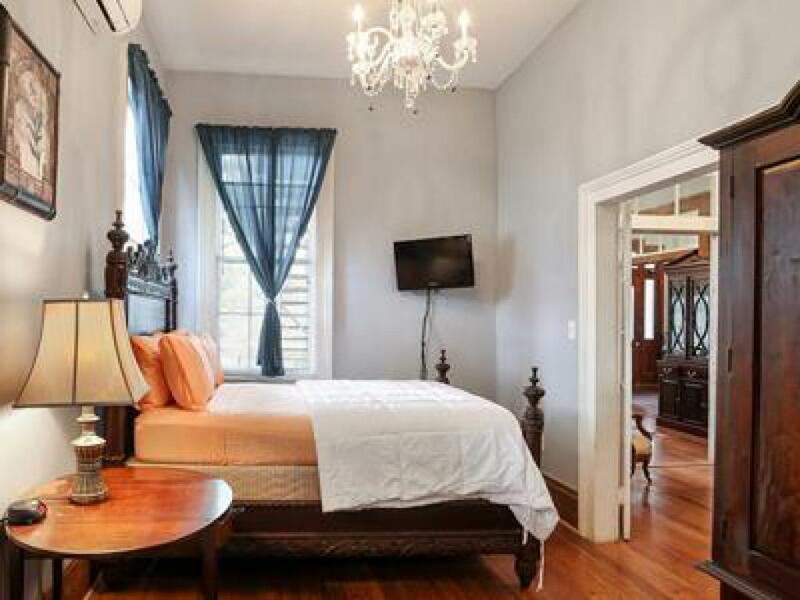 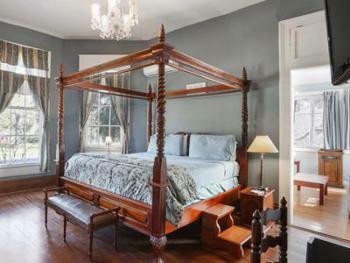 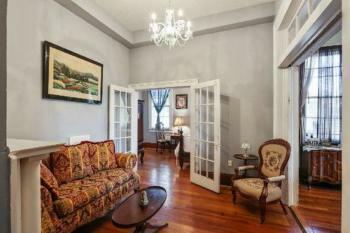 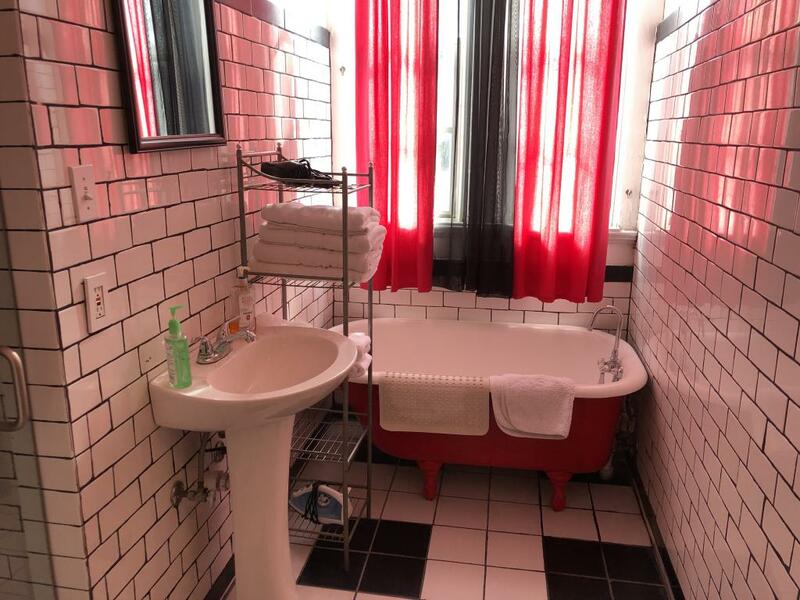 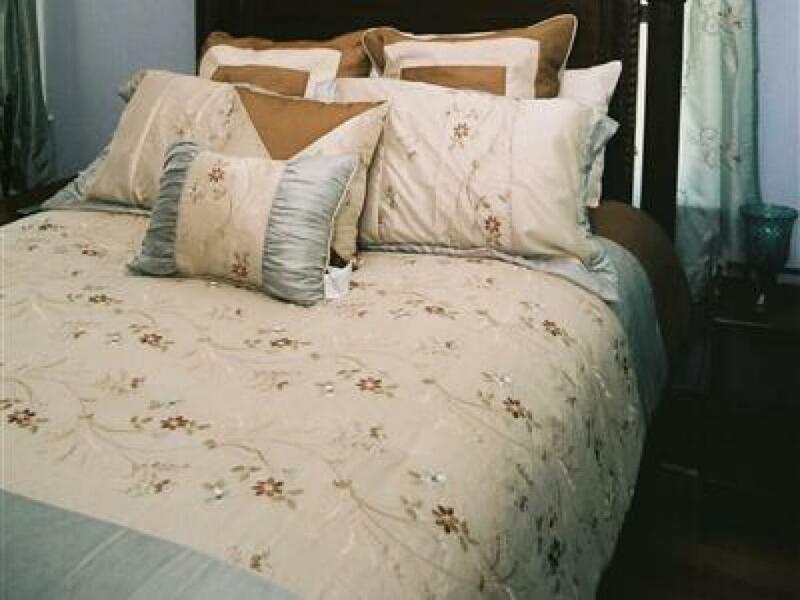 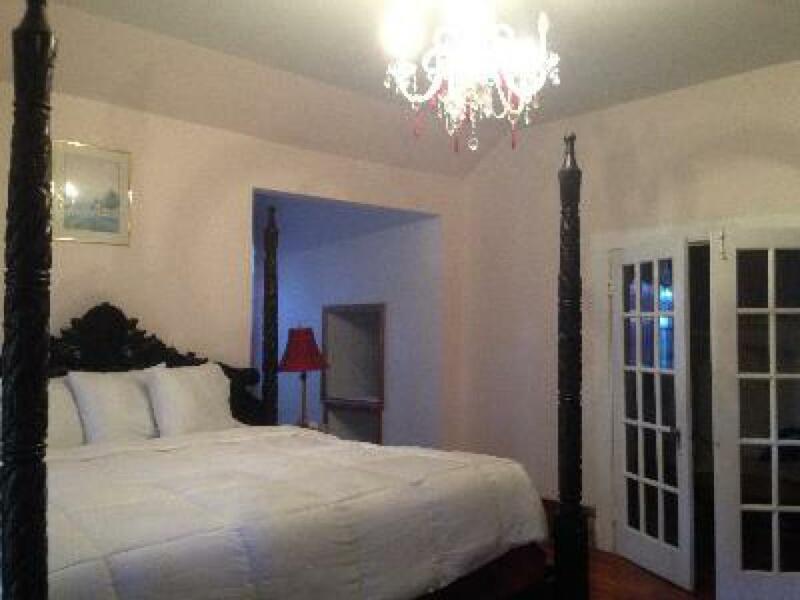 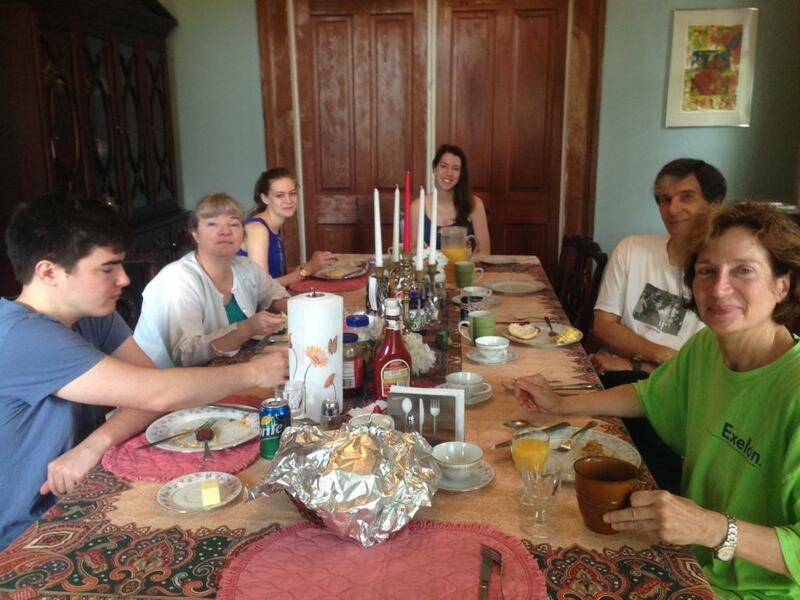 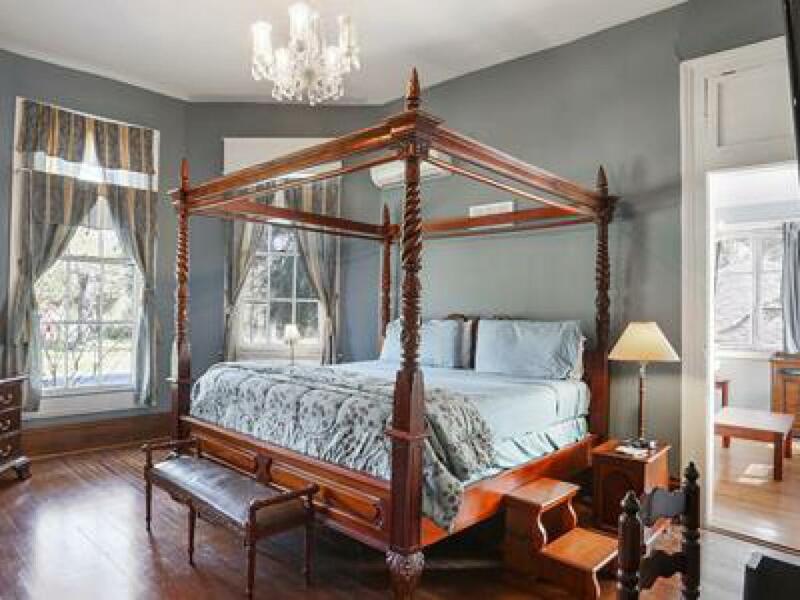 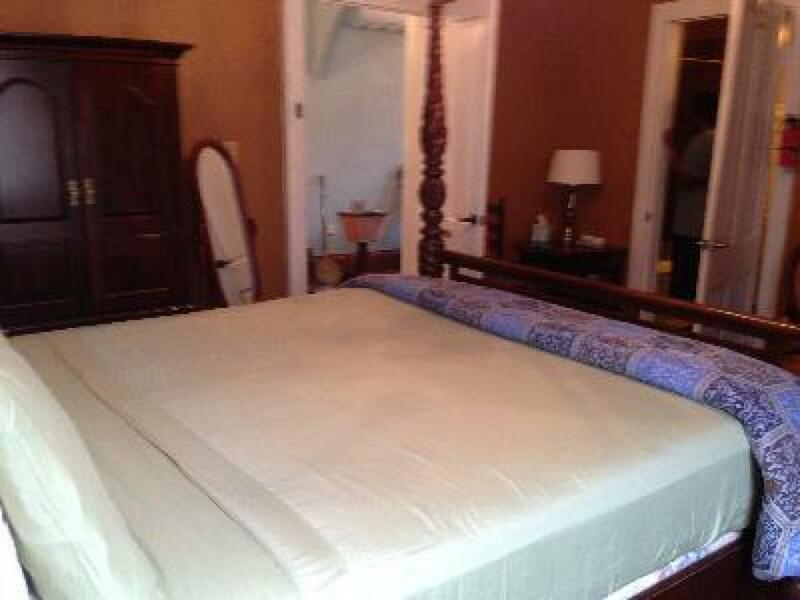 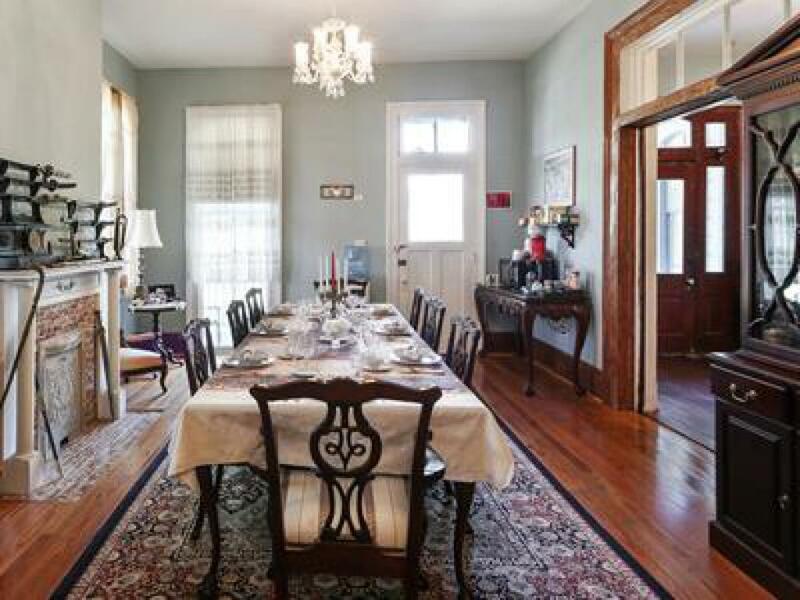 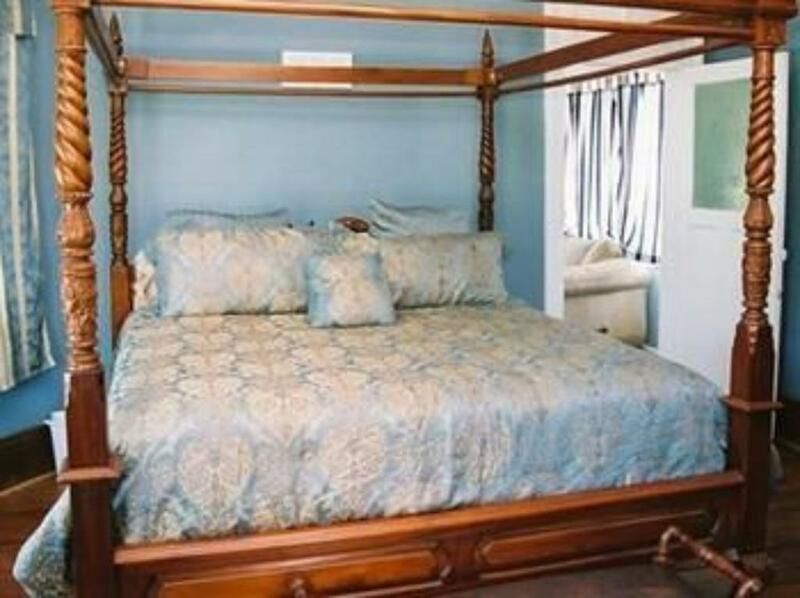 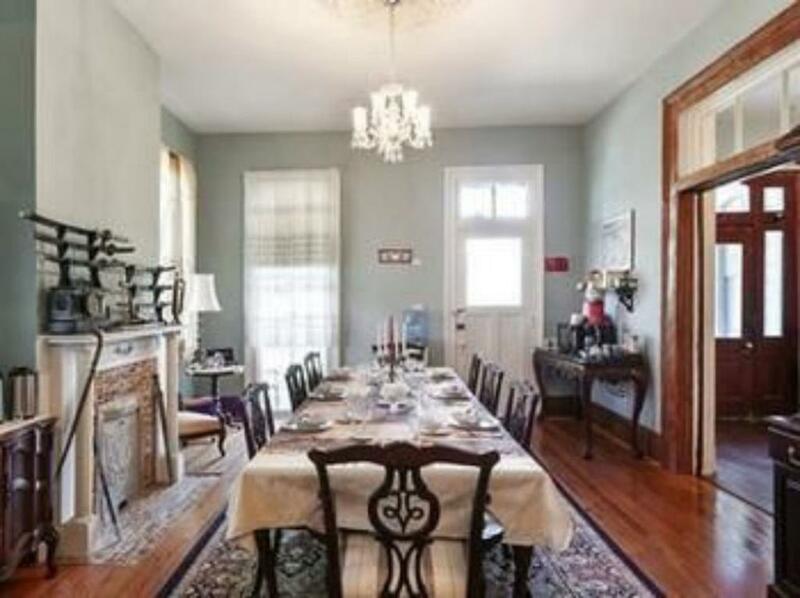 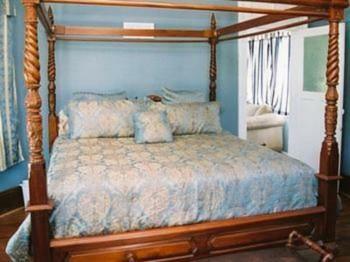 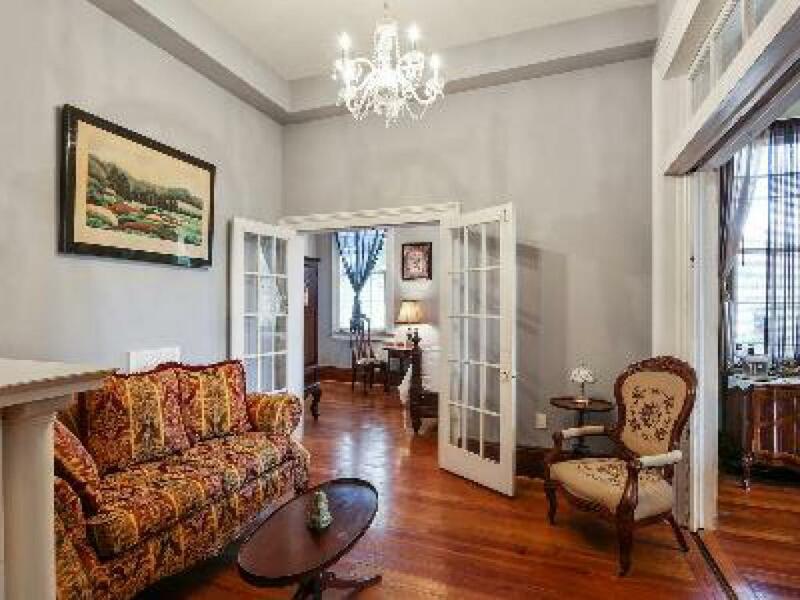 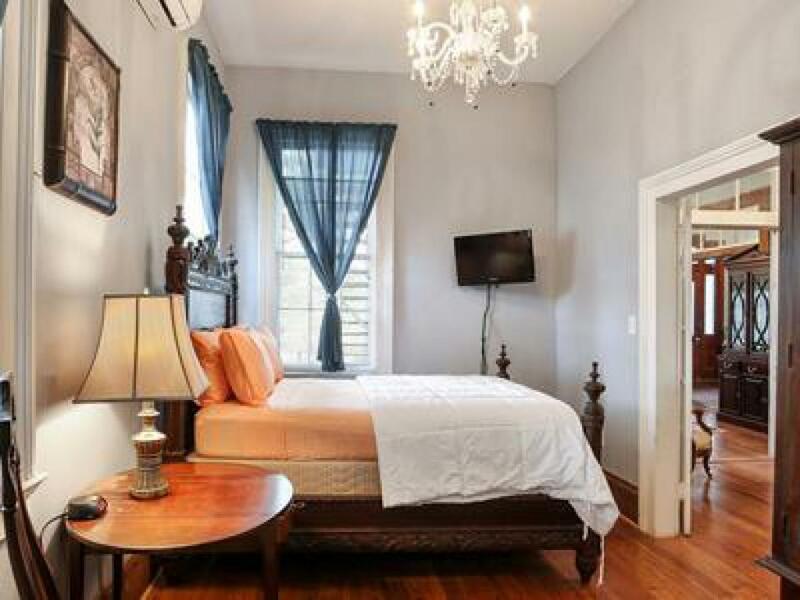 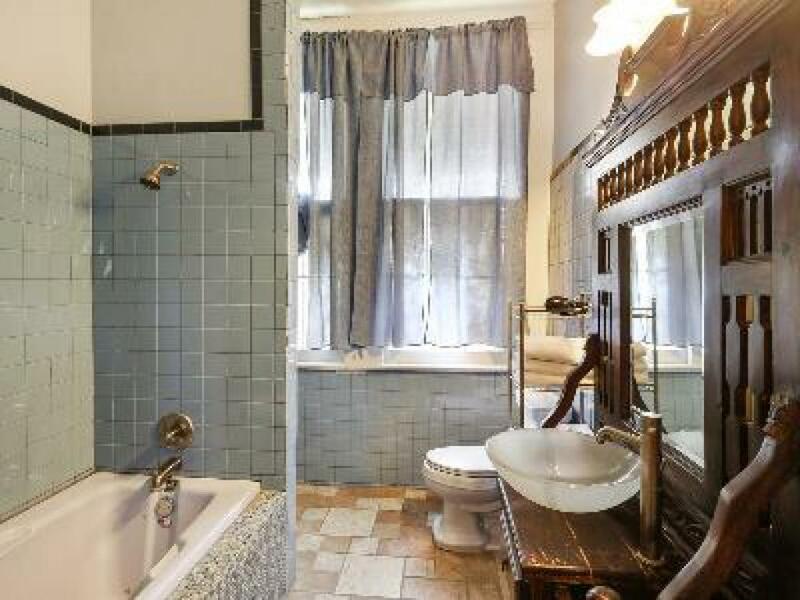 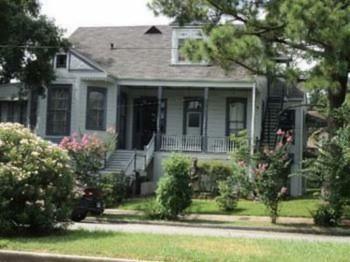 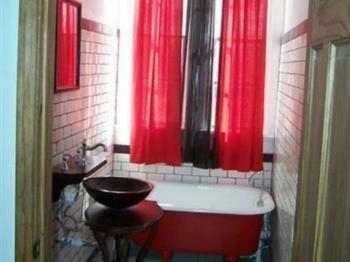 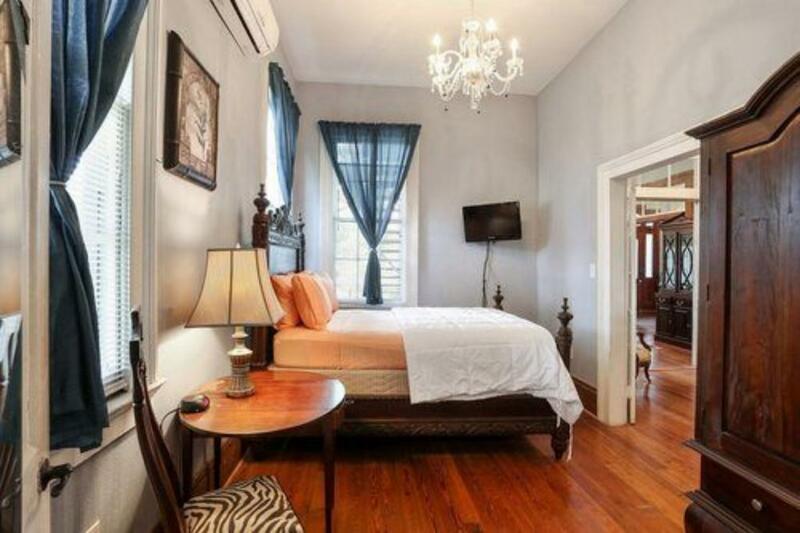 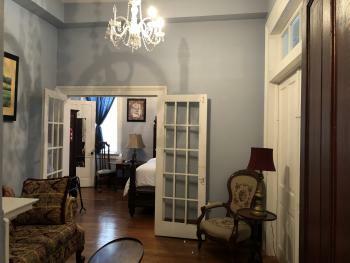 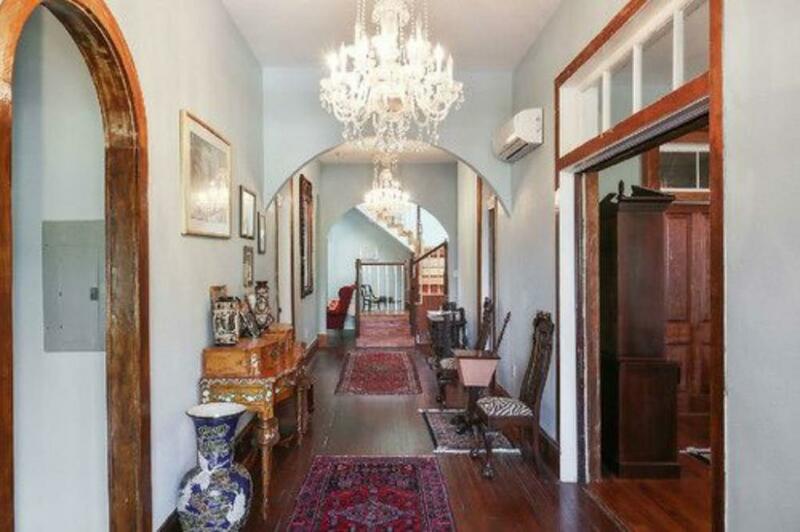 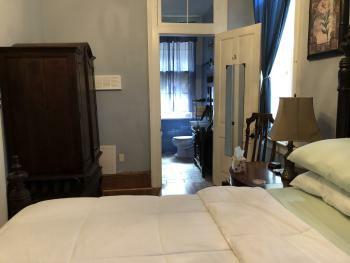 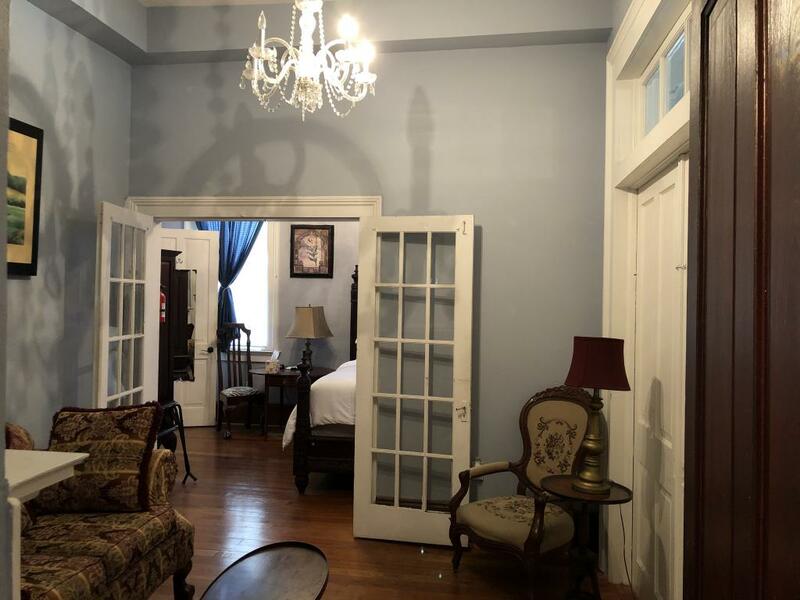 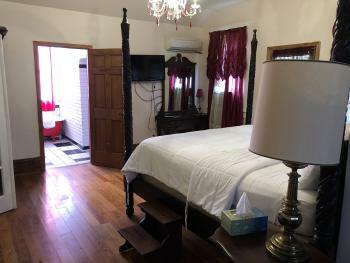 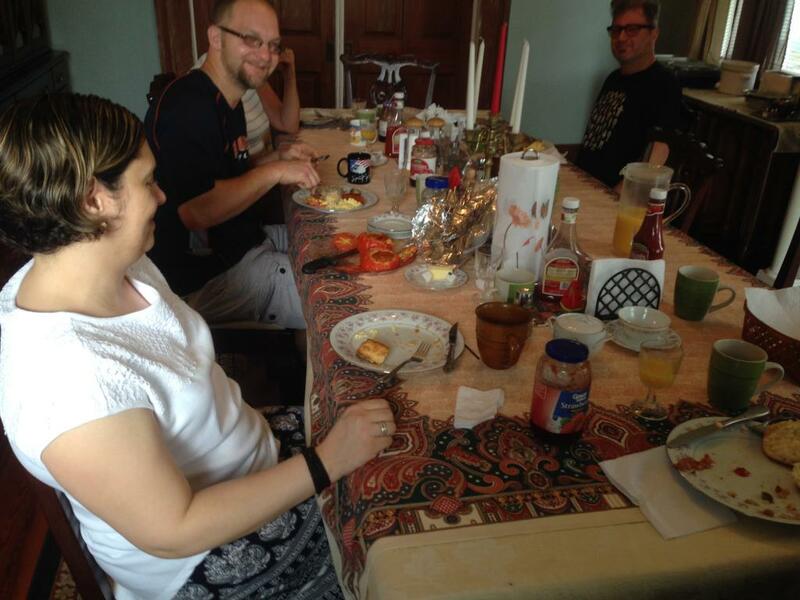 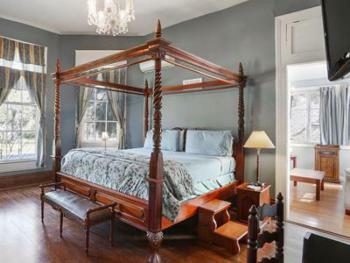 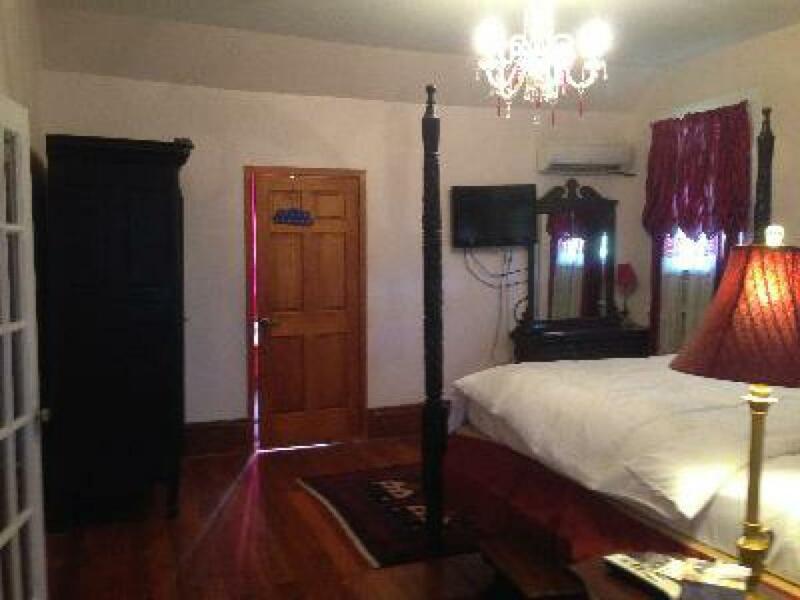 Oakview bed and breakfast new orleans is a historic Victorian located on City Park Ave in the heart of mid city and across the street from the Famous New Orleans Museum and City Park. 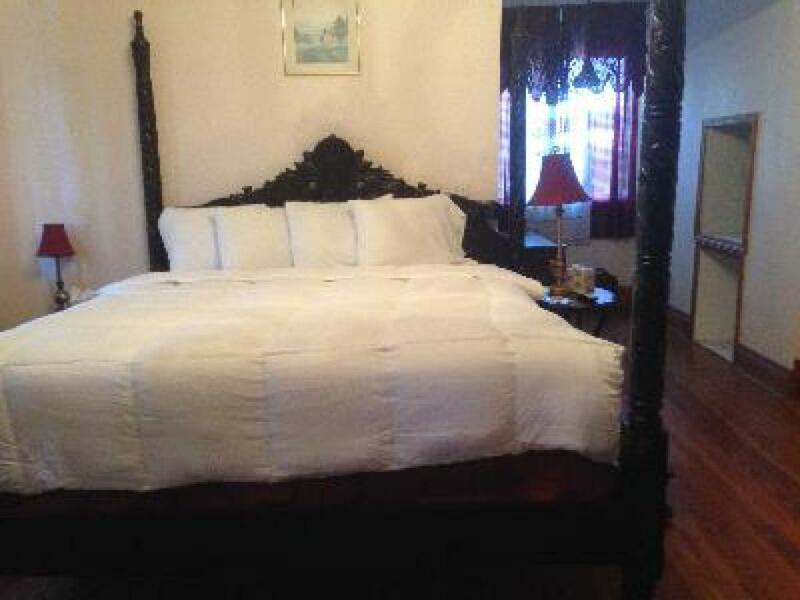 The bed and breakfast new orleans is less than five miles from Downtown New Orleans, French Quarters, Super dome and the Convention Center. 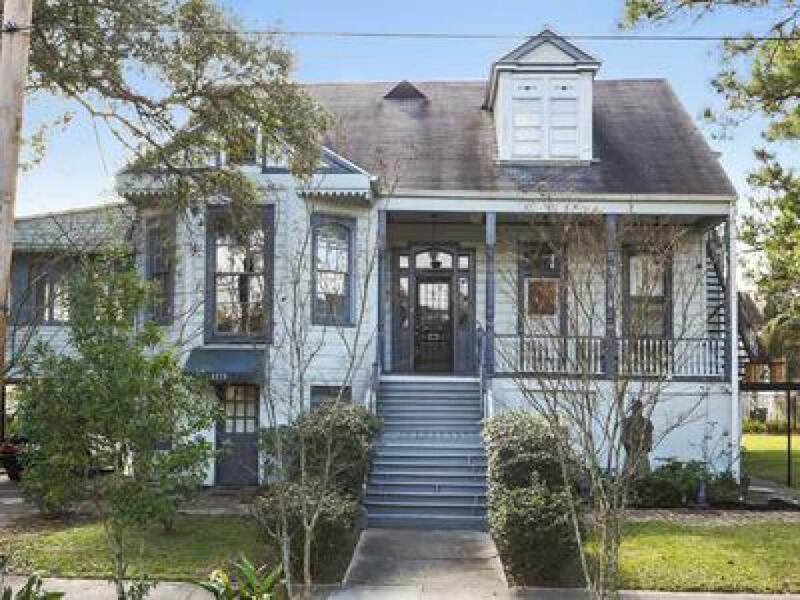 Oakview is also walking distance to Jazz Fest, Voodoo Fest, the start of the famous Endymion parade and a major cemetery. City Park is home to the following: two major golf courses, a 14 million dollar bike and jogging path, botanical gardens, the sculptural museum, the finish line for the crescent city classic race, the fishing rodeo, the brand new tennis city with more than 30 new tennis courts, a multitude of sheltered picnic areas, a large gazebo, two football stadiums, a soccer field an amusement park with rides, horse stables, with more additions being added as we speak. 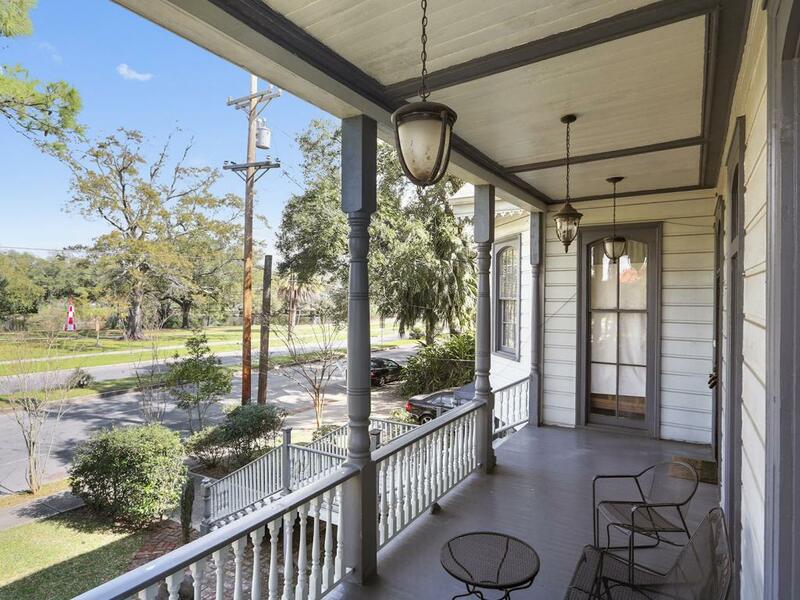 Even more is that the trolly stops at our front door and heads back down to the french quarters and downtown New Orleans. This is an upscale neighborhood so we pride ourselves in the low crime rate and private security. The rooms are spacious with drawers for your belongings. 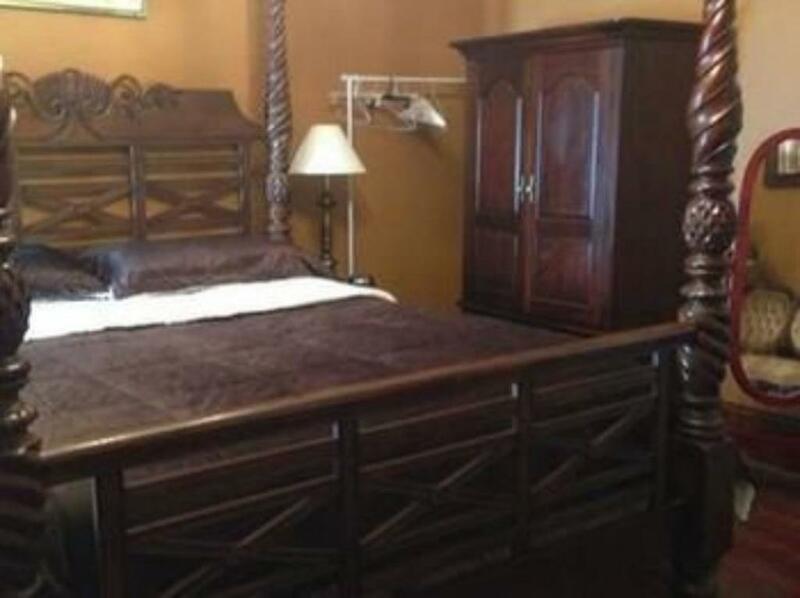 armoirs to hang cloths and pretty much everything you expect to find in an upscale hotel. But unlike the big hotel everything here is free.If you prefer your privacy and are not interested in the large crowds of all kinds of people down in the hustle and bustle of downtown, you would be better served right here at the Oakview b and b. From the airport take I-10 east and exit at City park avenue. 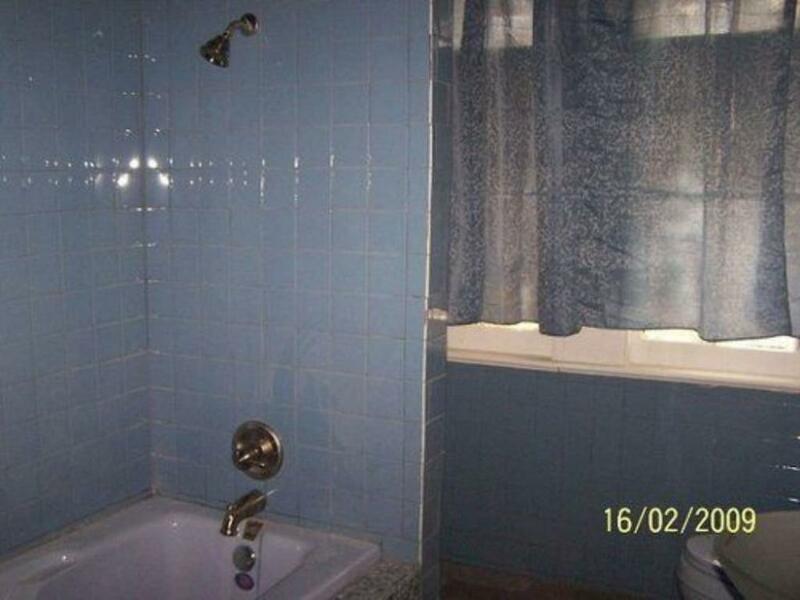 (10 minutes). 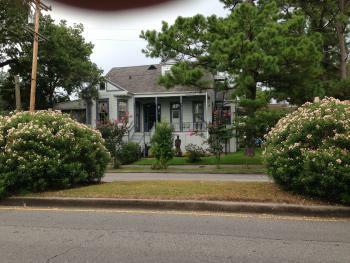 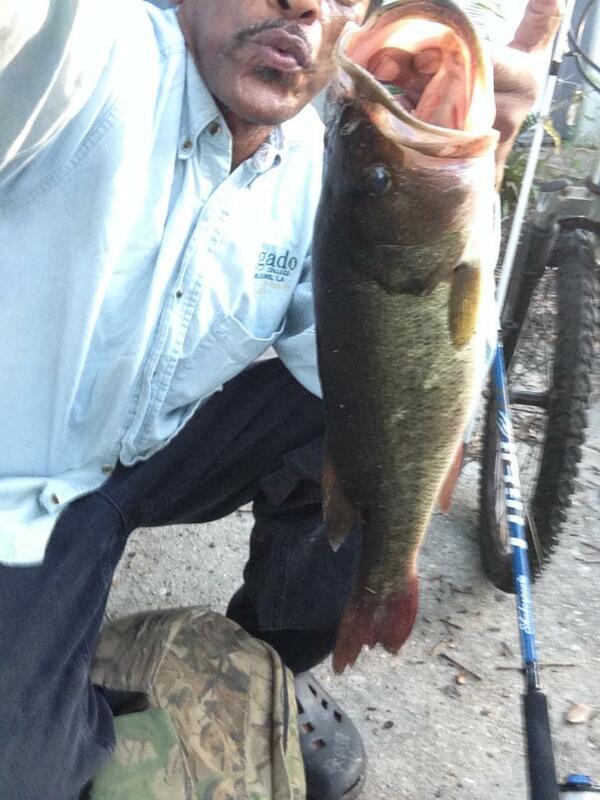 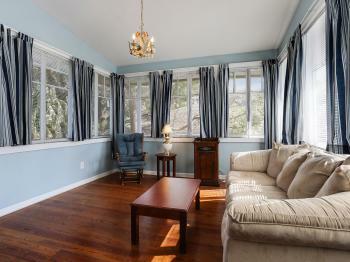 Drive straight down city park avenue (6 minutes) 1 mile to 1172 city park avenue to the Oakview bed and breakfast.